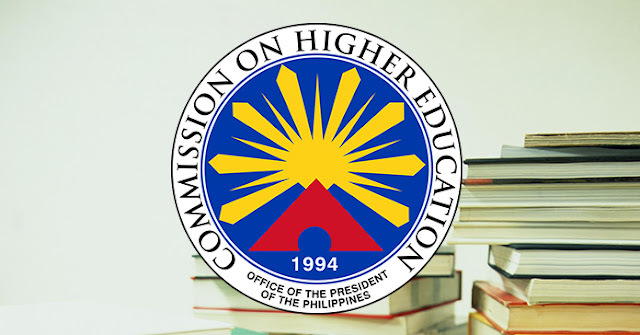 MANILA -- The Commission on Higher Education (CHED) has agreed to delete the "return service requirement" in the implementing rules and regulations (IRR) of Republic Act No. 10931 or the Universal Access to Quality Tertiary Education Act. Isabela Rep. Ma. Lourdes Aggabao, sponsor of CHED's budget, made the announcement during the plenary debates on the agency's budget for 2019 early Thursday. During his interpellation, ACT Teachers Party-list Rep. Antonio Tinio said the return service requirement had no legal basis. "Nire-rehistro ko on the record na walang legal na batayan ang pagpasok ng CHED sa IRR ng free tertiary education ng return service requirement (I put on record that CHED has no legal basis to include the return service requirement in the IRR)," Tinio said. According to the IRR for RA 10931, state universities and colleges (SUCs) and local university colleges (LUCs) "shall formulate and implement a Return Service Agreement (RSA) System for students benefitting from the free higher education provision of this Act, as part of their admission and retention policies." Such guidelines shall be approved by their respective governing boards and the CHED. Tinio, in a separate statement, said there was nothing in the free tertiary education law that authorizes the RSA. He noted that the RSA is a deviation from the spirit of the law to provide free education. “Winawasak nito ang pinaka-esensya ng batas dahil kung may kapalit na serbisyo, hindi na tunay na libre ang edukasyon sa kolehiyo (It destroys the very essence of the law because it won’t be really considered free college education if service is required in exchange),” Tinio said. According to an online news published in March, CHED Officer-In-Charge J. Prospero de Vera III said since they are now government scholars, it is but right for them to return the money or favor to the public in the form of service. Students are expected to render “return of service" while studying in college. If they choose not to comply with the requirement, they will have to pay for their tuition and opt out of the scholarship program. “Ayaw mo mag-return of service, eh di magbayad ka ng tuition, that is the provision of the law (If you don’t want to perform return of service, then pay the tuition, that is the provision of the law),” de Vera said. He added that the "return of service" may involve simple tasks, which student assistants do in most schools, such as filing books in the library or planting for campus beautification.